Have you been looking for different solutions for replacing teeth? It’s also possible you’re noticing that you need to start taking extra care of your teeth. 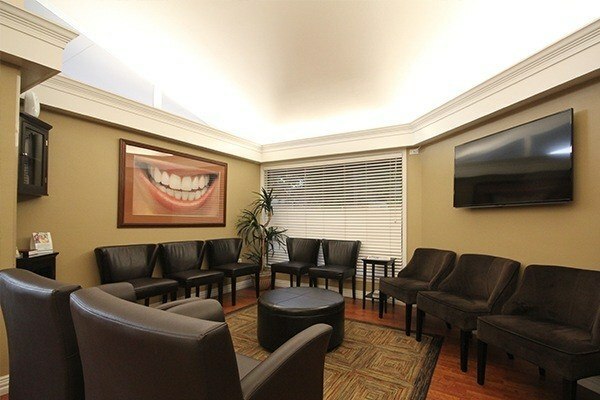 If so, you may have come across a popular treatment known as “Teeth-in-a-Day” or “All-On-4”. Understanding this treatment puts you in a position to make the best decision for your long-term health. Dr. Novak, Dr. Johannsen and the team want all patients to have a clear understanding of the facts and what you should expect if you decide “Teeth-in-a-Day” is for you. Let’s look at common misconceptions of this treatment and what you should know before a consultation. Do You Really Get Teeth in Just One Day? Simply: no. It’s important to note that teeth are not literally placed the day you arrive. Treatments like the All-On-Four take meticulous planning by the dentist before treatment can actually happen. The last thing you want is for anyone to rush dental implant placement. The more we plan, the more successful your treatment will be. Treatment requires a few steps. We start with a consultation to review each patient’s dental health. Then we take impressions to build the teeth before working with trusted surgeons to perform the procedure. Then we’ll place teeth, but most times the first teeth placement is temporary and requires that a final set of teeth made and placed. The reason some people use the term “teeth-in-a-day” is because the actual surgery and placement of the temporary teeth only takes one appointment, but we’ll see you a few times before treatment is complete. Our skilled preparation allows us to provide patients with a lifechanging teeth restoration. And let’s be honest, with beautiful, functional, new teeth, you should never pick a dentist who promises them in just one day. Beyond a convenient treatment, there are amazing benefits to All-On-4. The main benefits of an All-On-4 treatment are durability, bone preservation, and how much they improve your quality of life. You may have tried other solutions that didn’t last very long. All-On-4 is a long term solution. 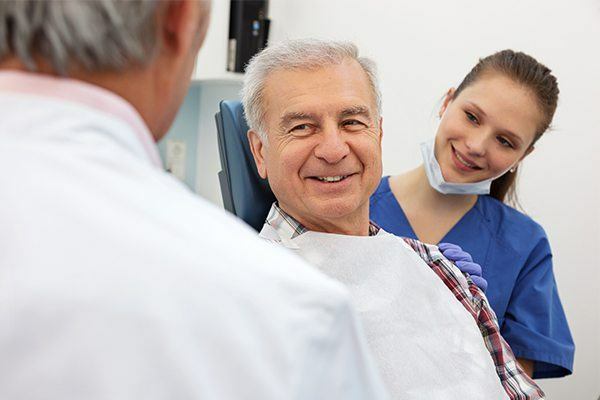 If you have suffered from tooth loss and the issues that accompany it (decay, abscesses), it’s powerful knowing that your All-On-4 denture cannot develop decay. Instead of coming in with routine problems every several months, you can get your implants placed, save money on future treatments, and focus on living your life to the fullest. When teeth are removed and not replaced, the bone that once surrounded them withers away leading to a sinking in of the face. Implant placement stimulates bone and maintains it’s size and position. Of course, living your life also becomes easier when you have a reliable set of teeth to maintain your active life. Eating healthy is crucial to staying active and healthy. 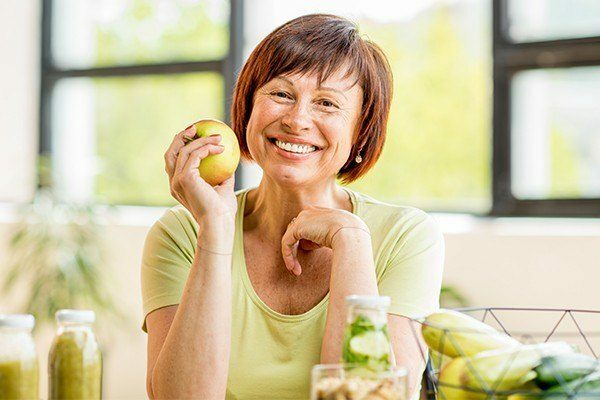 This becomes far easier when you have a durable, comfortable and long-lasting denture that doesn’t slide or become loose every time you try to eat. 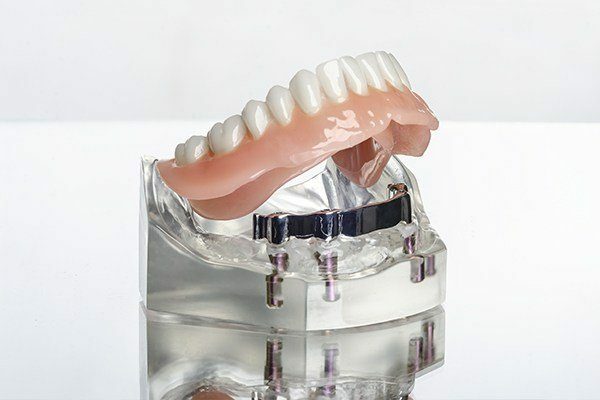 All-On-4 dentures are much smaller than other solutions. They don’t go across the roof of your mouth and they don’t compete for space with your tongue, which is really something to smile about. All-On-4 treatment is also ideal for those taking medications that cause dry mouth. Chronic dry mouth is one of the worst side effects for your teeth and gums because it promotes bacterial growth. A restoration that does not succumb to decay is a longer lasting solution. Finally, All-On-4 dentures are designed to be fixed. That means there’s no need to take them out to clean them, or worry about them getting lost or damaged. If you’ve lost a denture before, you understand how frustrating and embarrassing it could be if someone you love visits you to find you toothless. If All-On-4 sounds right for you, there’s only one place to call. Dr. Novak’s practice has been serving the Weatherford community for over 22 years. He’s been working with the same group of surgeons to perform All-On-4 ever since, so you can rest assured knowing that only those with a proven track record of success are performing your treatment. It’s always better to come to a practice you’re familiar with, especially when beginning treatments as comprehensive as All-On-4 in Weatherford. When it’s time to have your restoration maintained, having a team who knows you can make all the difference in the world. Dr. Novak and his team hope you schedule your implant consultation soon and say goodbye to your chronic dental issues once and for all!